Mumbai: From the data on sectoral deployment of bank credit collected on a monthly basis from select 46 scheduled commercial banks, it emerges that on a year-on-year (y-o-y) basis, non-food bank credit in India increased by 8.9 per cent in April 2015 but this increase was considerably less as compared with the increase of 14.2 per cent in April 2014. 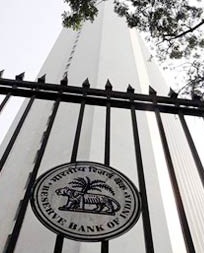 Similarly according Reserve Band of India (RBI) data, credit to agriculture and allied activities increased by 14.1 per cent in April 2015 down from 14.8 per cent in April 2014. Even in case of credit to industry, which increased by 6.4 per cent in April 2015, the increase was less compared with the increase of 12.3 per cent in April 2014.
Credit to the services sector increased by 7.5 per cent in April 2015. The credit to this sector had registered an increase of 17.0 per cent in April 2014.
Credit to NBFCs increased by 3.3 per cent in April 2015 as against an increase of 19.8 per cent in April 2014.Personal loans increased by 13.3 per cent in April 2015 as compared with the increase of 15.1 per cent in April 2014.